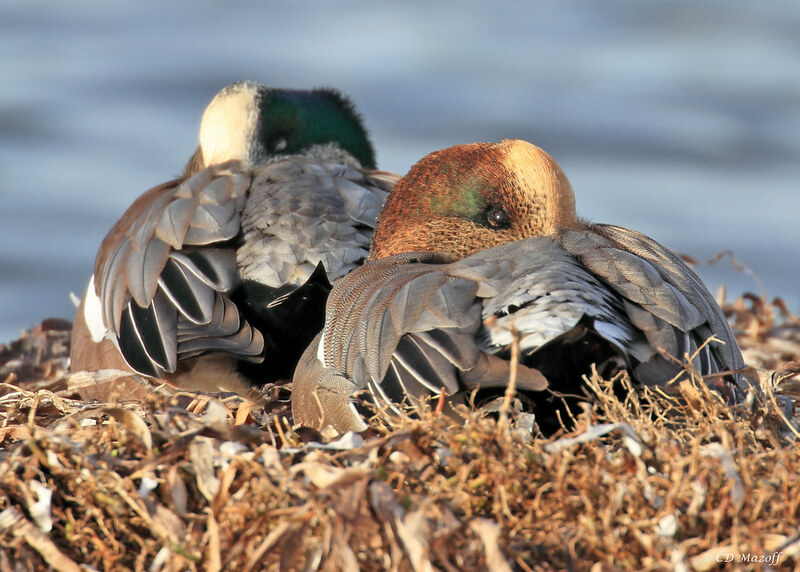 And are these both Male American Wigeons? The one with the faint green patch behind the eye is an American Wigeon. It appears that the duck at the back of the first photo is a male American wigeon and the one at the front is a female American wigeon. The two ducks with the distinct large green patches in the last photo you posted are male American Wigeons as you suggest. The duck in the foreground with the green at the back of the eyes is an Eurasian Wigeon! 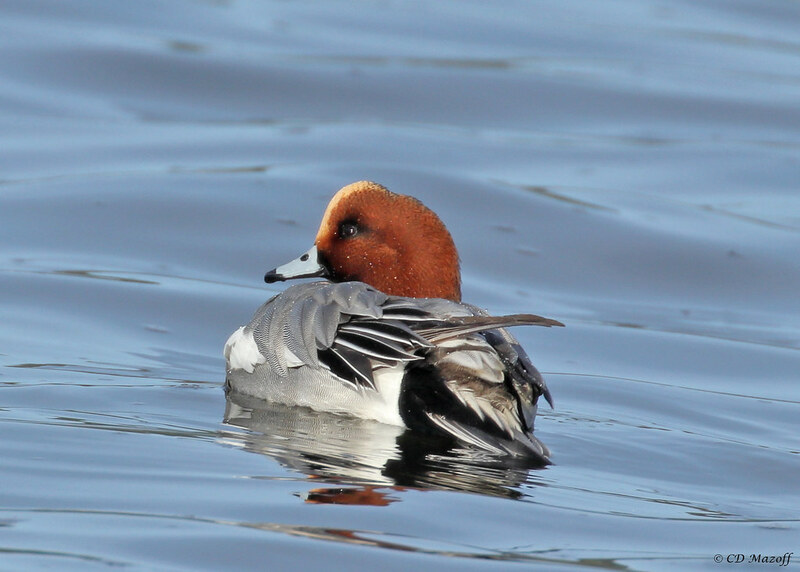 It's quite common to find Eurasian Wigeon's with a green splash behind the eyes, and it's not a hybrid! 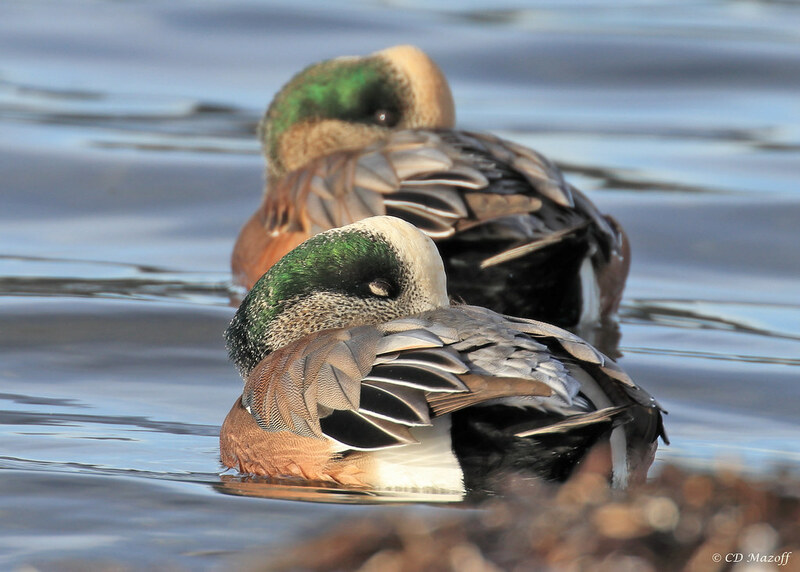 Hybrids look more like the American Wigeon but instead of the green in the head it's a brown streak. That is what I posted at first, but looking hard at photos on a Google search and at the Roger Tory Peterson and Audubon books, I changed it to American wigeon. American shouldn't have that cinnamon colour, so Eurasian would be my call, other than the fact I don't have much experience with hybrids.